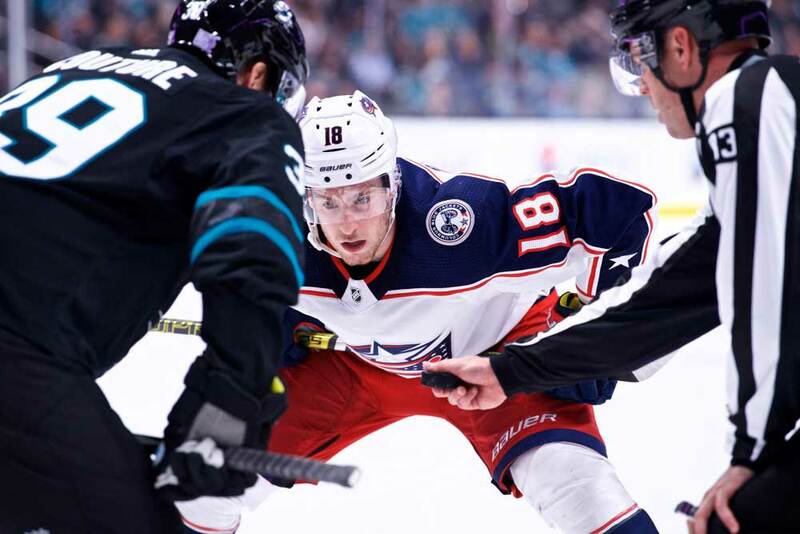 A lot of Columbus Blue Jackets fans were left bewildered during the 2016 NHL Draft when their team selected forward Pierre-Luc Dubois with the third-overall pick. Dubois may have been the top-rated North American skater in the proceedings, but Jesse Puljujarvi of Finland was ranked ahead of him by the majority of scouting bureaus. Columbus had been lucky enough to move up to third place in the draft lottery and many felt it had been wasted on the native of Sainte-Agathe-des-Monts, Quebec. Numerous hockey fans and experts in general were shocked when Columbus passed on Puljujarvi as he was one of three “can’t-miss” prospects in 2016 along with Auston Matthews and Patrik Laine. Of course with the benefit of 20/20 hindsight it’s now obvious the Blue Jackets’ scouting staff and general manager Jarmo Kekalainen did their homework on Dubois. Dubois racked up 52 goals and 92 assists for 144 points in 116 games with the Cape Breton Screaming Eagles of the Quebec Major Junior Hockey League before being drafted and added 17 points in 19 playoff outings. He was named to the league’s Second All-Star team for 2015/16 for his 99-point performance and received the Mike Bossy Trophy as its top professional prospect. However, after the draft Dubois was sent back to junior hockey and seemed to struggle in this third season with Cape Breton. He scored six goals and 18 points in 20 games and was then traded to the Blainville-Boisbriand Armada where picked up his play with 15 goals and 37 points in 28 contests and added nine goals and 22 points in 19 playoff encounters. In 2017, Dubois was better prepared to handle the rigors of an NHL training camp and made the team’s opening-night roster as a bottom-six forward. He played his way up the lineup though and soon found himself as head coach John Tortorella’s top pivot. From this point on Dubois was thrown in the deep end as he faced the opponent’s top lines most nights. He did an admirable job for a 19-year-old rookie and finished the campaign with 20 goals and 28 assists in 82 games and was a plus-8. He’s already equalled last season’s points tally with 21 goals and 27 assists after 53 contests this season and is on pace for 32 goals, 42 assists, 74 points and a plus-12 rating. Dubois played 16:38 minutes per game as a rookie and has earned the trust of Tortorella and is being rewarded with 18:51 minutes this year. He also has a knack for timely goals with four game-winners in 2017/18 and three so far this year. At 6-feet-3-inches tall and over 205 lbs, Dubois is hard to knock off the puck whether he’s playing on the wing or at center. And at 20 years old he’s likely still got some growing to do and more muscle to add to his frame. He has exceptional speed for a big man and knows how to read the game. Dubois realizes when the best option is to set up a teammate rather than shoot the puck himself. Columbus certainly appears to have done the right thing by drafting Dubois instead of Puljujarvi and the proof’s in the pudding as they say. As of Feb. 9th Dubois had played 135 regular-season NHL games with 41 goals and 55 assists for 96 points and was a plus-16. Meanwhile, Puljujarvi had skated in 136 games over three seasons and had produced 17 goals and 20 helpers for 37 points with a minus-9 rating. As far as exceeding or matching expectations goes, Dubois is the first player ever to score at least 20 goals in his first two seasons with Columbus to start his career. He’s a trendsetter in Columbus then, but how does he compare to other 20-year-olds in the NHL when it comes to offensive production. If we look back at the last decade from 2007/08 onward we find Dubois is in some elite company with his points-per-game average of 0.91 this season. He currently ranks 10th when it comes to points-per-game as a 20-year-old. Pittsburgh Penguins’ skipper Sidney Crosby leads the way by notching 1.36 ppg in the 2007/08 campaign. Edmonton Oilers captain Connor McDavid is second with 1.22 in 2016/17. He’s followed by Elias Pettersson of the Vancouver Canucks as he’s posting 1.12 points an outing this season. To round out the list we find Tampa Bay Lightning captain Steven Stamkos in fourth place with 1.11 ppg in 2010/11 followed by Mathew Barzal of the New York Islanders last season at 1.04, Auston Matthews of the Toronto Maple Leafs with 1.02 last year, Los Angeles Kings’ captain Anze Kopitar at 0.94 in 2007/08, Buffalo Sabres’ young star Jack Eichel at 0.93 in 2016/17 and David Pastrnak of the Boston Bruins also at 0.93 the same season. Dubois is next with his 0.91. Dubois’ Corsi numbers are also fine, but if there is one area he needs to improve in it’s winning faceoffs. He was successful on just 43.8 per cent of his draws last year and has improved to 44.6 so far this season. At his age though, he’s likely to boost those numbers with each successive season as he gains more experience in the faceoff circle. It’s interesting to think just where Dubois would have been drafted in 2016 if Columbus didn’t go against conventional wisdom and select him. He’s a responsible, two-way player who has produced enough points to be considered a genuine offensive threat and has the skill to shut down the league’s other top centers. Kekalainen has certainly been vindicated for drafting Dubois ahead of Puljujarvi, but the GM’s harshest critics will point out that he’s sixth in scoring from the class of 2016. Matthew Tkachuk (6th pick) of the Calgary Flames, Clayton Keller (7th) of the Arizona Coyotes and the Chicago Blackhawks’ Alex DeBrincat (39th) were all drafted after Dubois and have outscored him at this point. But Kekalainen may want to point out the career of an elite NHL player is typically a marathon and not a sprint. Dubois still has a long way to go and he’s off to an excellent start.